Section 167(2)(a): Procedure for release of accused on bail, when investigation cannot be completed within 60/90 days. Accused can be detained for 90 days only where offence is punishable with imprisonment for a complete term of 10 years or more. a) Counting will start from the date of first remand. b) The day on which the accused was remanded to judicial custody is to be included and the day, on which charge-sheet was presented, is to be excluded. Bail granted u/S 167(2) Cr.P.C. cannot be cancelled after the presentation of the charge-sheet. It can only be cancelled u/Ss 437(5)or 439(2). On the expiry of the period specified in paragraph (a) of proviso to sub-section (2) of Section 167, the accused becomes entitle to release on bail. This right does not extinguish even after the filing of the charge-sheet. This right of the accused is known as Indefeasible Right. After the exercise of this right, with the refusal of Magistrate to grant bail or delay in disposing of the matter, it does not extinguish. If the accused does not file applications for bail during the ‘default period’ and the charge-sheet is filed in between, the right of the accused extinguishes. It is not obligatory upon the Court to release the accused on bail on its own after the expiry of the prescribed period. Obligation is only to inform the accused of his right of being released on bail and enable him to make an application in that behalf. The Court should give a notice of bail application to the Public Prosecutor to resist the bail application. If Public Prosecutor applies for the extension of period, a notice should also be given to the accused to resist it. If Investigating Agency fails to complete investigation with the stipulated period, the accused becomes entitle to bail. Section 167(2) prescribes the period during which the investigation is to be completed. It divides the offences in two categories. First category: Section 167 (2) (a) (i), when investigation relates to an offence punishable with death, imprisonment for life or imprisonment for a term of not less than ten years, the period is 90 days. Second category: Section 167 (2) (a) (ii), in all other offences, the period is 60 days. First Category: When the offence is punishable with death or for imprisonment for life, the period is 90 days. Second category: When the offence is punishable with imprisonment upto 3 years, 5 years or 7 years, the period is 60 days. Third category: When the offence is punishable with imprisonment for a term of not less than 10 years. 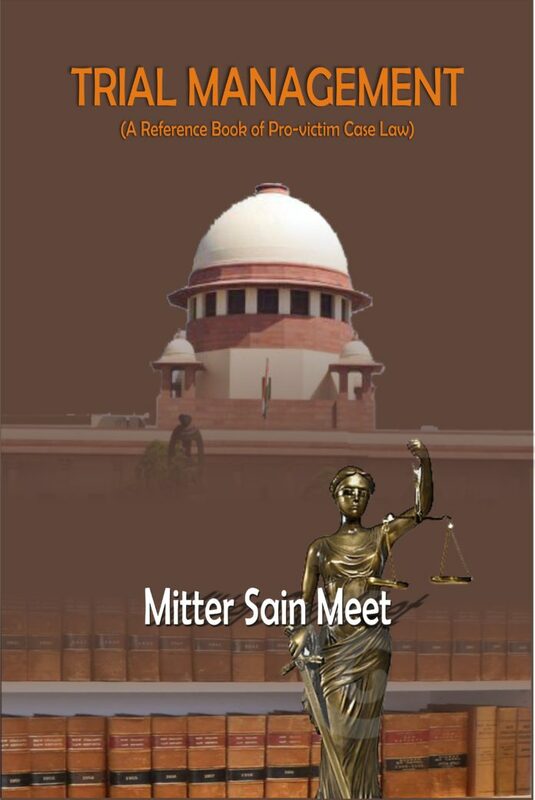 Prior to the decision of Rajiv Chaudhary’s case, the High Courts were having different views. One set of High Courts was of the view that when the offence is punishable with imprisonment for a clear term of 10 years or upto 10 years, the accused can be detained for a period of 90 days. Second set was of the view that the punishment for the offence must be for a clear term of 10 years or more. Accused of this case was arrested in connection with an offence punishable under Sections 386, 506 and 120-B of the I.P.C. He was produced before the Metropolitan Magistrate, Delhi on 31-10-1998 and was released on bail by Order dated 2-1-1999. The ground was that charge-sheet was not submitted within 60 days as provided under Section 167(2) of the Criminal Procedure Code, 1973. That order was challenged by the State. The Additional Sessions Judge, New Delhi allowed the said revision. The learned Additional Sessions Judge held that for an offence under Section 386, I.P.C. period of sentence could be up to 10 years RI. Hence, in this case Clause (i) of the Proviso (a) to Section 167(2) is be applicable. That order was challenged by the accused. The High Court, while interoperating the expression ‘offence punishable with imprisonment for a term of not less than 10 years’ held that it would mean an offence punishable with imprisonment for a specified period, and this period would not be less than 10 years. In other words it would be at least ten years. The words ‘not less than’ qualify the period. These words put emphasis on the period of ten years and mean period must be clear ten years. It was further held that on a plain reading of Clause (i) of Proviso (a) to sub-section (2) of Section 167, Cr. P.C. there seemed to be no doubt that offences punishable with death, imprisonment for life or imprisonment for a term of ten years or more would fall under Clause (i) and offences which are punishable with imprisonment for less than ten years would fall under Clause (ii). The High Court set aside the order passed by the Additional Sessions Judge. The State challenged this order in appeal. Short question involved in this appeal was with regard to the interpretation and construction of the expression “offence punishable with imprisonment for a term of not less than ten years” occurring in Proviso (a) to Section 167(2) of the Criminal Procedure Code in context of the expression “imprisonment which may extend to ten years” occurring in Section 386 of the I.P.C. The Hon’ble Supreme Court held that clause (i) of Proviso (a) to Section 167 (2) would apply in cases where investigation relates to an offence punishable with imprisonment for a term of not less than 10 years. The accused were arrested in the forenoon of July 19, 1985 in connection with a riot which resulted in a toll of human lives and huge destruction of property. They were produced before the Munsiff Magistrate on July 20, 1985 and were remanded to judicial custody till October 18, 1985. The police filed a charge-sheet against the appellants on October 17, 1985 that being the 90th day of remand. Even so, the accused filed a petition before the Magistrate and sought enlargement on bail in terms of proviso (a) to s. 167(2) of the Code of Criminal Procedure. The learned Magistrate, overruling the objection of the State, granted bail to the accused on the ground that the period of 90 days stipulated in the proviso had to be reckoned from the date of arrest and not from the date of remand and so computed, the charge-sheet had not been filed on the 90th day but on 91st day and hence the accused were entitled to bail. The State challenged the order of bail before the High Court by means of a petition under s. 439(2) of the Code. A Single Judge of the High Court allowed the petition holding that the period of 90 days envisaged by the proviso to s. 167(2) has to be computed only from the date of remand. Cancelled the bail and directed the magistrate to issue warrants of arrest for the accused. From which date the commutation of statutory period of 60/90 days will start? The Hon’ble Supreme Court held that commutation of period will start from the date of first order of remand made by the Magistrate. Accused of this case was arrested on 4-7-1996 and was produced before the Magistrate on 5-7-96. On that day the Magistrate passed the order of first remand. The chargesheet was presented on 3-10-96. Matter came for consideration before the Hon’ble Punjab & Haryana High Court. held that the accused is not entitled to bail u/S 167(2) Cr.P.C. held that the charge-sheet was presented within 90 days. Therefore, accused was not entitled to bail u/S 167(2) of Cr.P.C. detention under the National Security Act was made against him on August 28, 1986. He was wanted in that connection but had gone ‘underground’. On being questioned by the police patrol party, they first refused to disclose their names and identity. This aroused the suspicions of the police party. One of the officers was able to identify Simranjit Singh Mann. The five occupants in the jeep were searched as also their baggage. A sum of Rs. 62,722 was found with one of the occupants, who offered the police party a large amount as bribe if they were allowed to cross the Indo-Nepal Border. As a result of the search, a number of documents and other articles were seized. Singh Mann to Birbal Nath, a letter addressed to one Arun Kumar Agarwal asking him to help the bearer in all possible ways and an anonymous letter warning Simranjit Singh Mann of likely attempts to liquidate him and advising him to leave the country. photograph of Simranjit Singh Mann was available and it was verified that the person suspected to be Simranjit Singh Mann was actually Simranjit Singh Mann. The other persons gave their names as Kamikar Singh, Charan Singh, Jagpal Singh and Raghubir Singh. Kamikar Singh was the person who had made the offer of bribe. imposed a condition that the sureties should be residents of Araria town. Simranjit Singh Mann was also directed to be released under the proviso to S. 167(2) on his application on October 28, 1985. These accused could not be released on bail as they could not produce sound sureties. On December 11, 1985 a charge-sheet was submitted before the Judicial Magistrate, First Class, Araria against the five accused persons for offences under Ss. 121-A, 123,124-A, 153-A, 165-A, 505 and 120-B of Indian Penal Code. During the pendency of the proceedings, all the accused submitted that they be allowed to present fresh sureties and may be released on bail. The Magistrate, the Special judge and High Court rejected these pleas of the accused on the ground that a considerable time has passed and that the Court has already taken cognizance of the case. Therefore, the right of the accused to seek bail u/ S167 (2) Cr.P.C. has forfeited. Feeling aggrieved the accused challenged these orders before the Hon’ble Supreme Court. Whether after the presentation of the charge-sheet in the Court, the right of the accused which has already accrued to him, is forfeited? The Hon’ble Supreme Court held that with the presentation of the charge-sheet, the right of the accused which has accrued to him u/S 167(2) Cr.P.C. is not forfeited. The bail order can only be cancelled if the accused have violated the conditions laid down u/Ss 437(5) or 439(2) Cr.P.C. the next day i.e. 9th September, 1990. The appellant thereafter made an application before the Sessions Judge, Sangli for being enlarged on bail. That application was rejected. The appellant approached the High Court but later withdrew the application and then once again moved the Sessions Judge, Sangli for bail under the proviso to Section 167 (2) of the Code on the ground that the investigation had not been completed within 90 days. The learned Sessions Judge by his order dated 11th March, 1991 directed the release of the accused on bail. After the charge-sheet was submitted and the documents were tendered subsequent thereto, the State of Maharashtra moved an application under Section 439 (2) of the Code in the High Court for cancellation of bail granted by the Sessions Judge. The High Court by the impugned order dated 31st March, 1992 cancelled the bail. The High Court was of the view that since the learned Sessions Judge had granted bail on a technical ground, namely, failure to file the chargesheet within the time allowed and since the investigation revealed the commission of a serious offence of murder, on the ratio of this Court’s decision in Rajnikant Jeevanlal Patel v. Intelligence Officer NCB, New Delhi, (1989) 3 SCC 532: (AIR 1990 SC 71) it was open to the High Court to direct cancellation of the bail. On this line of reasoning the High Court cancelled the bail and directed the accused to surrender to the bail. In obedience to that order the appellant has surrendered to his bail. Accused challenged this order in the Hon’ble Supreme Court. Can bail granted under the proviso to sub-section (2) of Section 167 of the Code of Criminal Procedure for failure to complete the investigation within the period prescribed there under be cancelled on the mere presentation of the challan (charge-sheet) at any time thereafter? The Hon’ble Supreme Court held that bail granted under Section 167(2) Cr.P.C. cannot be cancelled after the presentation of the charge-sheet. It can only be cancelled on the grounds mentioned in Sections 437(5) or 439(2). (iii) In case Masook Ali vs State of Punjab 1996 Cri.L.J.784, the Hon’ble Punjab & Haryana High Court cancelled the bail granted u/S 167(2) Cr.P.C. while applying the conditions of Section 439(2) Cr.P.C. under Sections 302/307/325/34 Indian Penal Code, was registered against these accused on the statement of Smt. Raj Bibi at Police Station, Jagraon. Both the accused were arrested on May 28, 1993. The investigation of this case was being conducted by ASI Om Parkash. He absented from duty for a period of four months. During his absence, he kept all the police files with him including the file pertaining to this case. Resultantly, the stipulated period of 90 days expired and both the accused were released on bail by the Magistrate u/s 167(2) Cr.P.C. During trial, only one eye witness namely Raj Bibi was examined. Only her examination-in-chief was recorded. Cross examination was deferred. All other witnesses did not appear before the Trial Court. After the release on bail, the accused persons started threatening the prosecution witnesses and specifically warned them that if they would appear against them in the said Court, they would also be killed and suffer dire consequences. The matter was reported to the police vide report dated 16-02-1994. The petitioner also approached the D.I.G. with an application to direct the prosecution for moving the Sessions Judge for cancellation of the bail. Accordingly, the Public Prosecutor moved an application for cancellation of the bail of the accused persons but the same was dismissed by the Additional Sessions Judge, Ludhiana. Feeling aggrieved, the complainant filed a petition in the Hon’ble Punjab & Haryana High Court. (a) That accused has managed the police to delay the filing of the charge-sheet and as such, obtained bail u/S 167(2) of the code. (b) That accused are continuously threatening the complainant and other eye witnesses of the case. (c) That there was a solitary family of Mohamdans living in the said village and both the accused are threatening the eyewitnesses with dire consequences if they would not compromise with them and if they appeared in the trial. (a) That the deceased Pasa alias Ashak Ali was having his enemies in the area and he was attacked by those persons and the accused were having no dispute with the deceased and they have been falsely implicated. (b) That these respondents have no connection with the police and when they were in the judicial custody, the question of their being in league with the Investigating Officer could not have arisen. (c) That once bail has been granted under Section 167(2) of the Code, the same can be cancelled for strong reasons as recognised from time to time by various precedents including the judgement of the apex Court rendered in Aslam Babalal Desai v. State of Maharashtra, AIR 1993 SC 1 : (1992 Cri LJ 3712). (d) That the security proceedings initiated against the respondents, were dropped by the Executive Magistrate. (e) That these respondents have never extended any threat as alleged to any the prosecution witnesses and the allegations leveled by the petitioner are false. Whether the apprehensions of the complainant are genuine and sufficient to cancel the bail u/S 439(2) Cr.P.C. which is granted to the accused u/S 167(2) Cr.P.C? Investigating Officer, whatever the consideration may be. It is well-settled that fraud, contrivance or covine of any description would vitiate the most solemn proceedings of the courts of Justice and nullifies all judicial acts. Therefore, in the present case it can be said without hesitation that the bail to the accused persons has not been granted but procured by them. When this right accrues?, When can accused be said to have availed this right? When this right extinguishes? And whether after the exercise of this right, the refusal of Magistrate to grant bail or delay in disposing of the matter, it extinguishes? (b) When this right accrues? (c) When can accused be said to have availed this right? (d) When this right extinguishes? (e) Whether, after the exercise of this right, with the refusal of Magistrate to grant bail or delay in disposing of the matter, it extinguishes? In the case, the accused after surrendering himself in the Court was remanded to judicial custody by order of the Magistrate on 17-6-2000. A case was instituted against the accused under Ss. 406 and 420 of the Indian Penal Code read with Maharashtra Protection of Interest of Depositors (Financial Establishment) Act, 1999 (for short “MPID Act”). The period of 60 days for filing of charge-sheet was completed on 16-8-2000. On the next day i.e. 17-8-2000, an application for being released on bail was filed before the Magistrate alleging that non-filing of challan within 60 days entitles the accused to be released on bail under proviso to S.167(2) of the Code of Criminal Procedure. The Magistrate rejected the prayer on the same day on the ground that the provisions of S. 167(2), Cr. P.C. has no application to cases pertaining to MPID Act. The accused, thereafter, filed a criminal application before the Bombay High Court. A learned single Judge, after hearing the contentions raised by the accused and by the State, referred the matter to the Division Bench on 23rd August, 2000. The matter was listed before a Division Bench on 29th August, 2000. On that date the Division Bench adjourned the matter for argument to 31st August, 2000 and in the meanwhile a charge-sheet was filed before the trial Judge on 30th August, 2000. On the entertainability of the claim of the accused, invoking provisions of S. 167 of Criminal Procedure Code, the High Court ultimately refused to grant relief on the ground that by the time the application for bail before the Division Bench came to be considered on 31st August, 2000, a charge-sheet had been filed before the Magistrate on 30th August, 2000 and, therefore, the so-called enforceable right did not survive or remain enforceable. Feeling aggrieved the accused filed an appeal in the Hon’ble Supreme Court. The plea of accused was that the legislative mandate conferring right on the accused to be released on bail on the expiry of the period contemplated under the Proviso to subsection (2) of S. 167, if the accused is prepared to furnish bail, cannot be nullifled by taking recourse to subterfuge and keeping the matter pending for passing of an order, allowing the prosecution to file a charge-sheet. The plea of the State Counsel was that so-called indefeasible right accruing to the accused remains enforceable from the time of default till the filing of the challan and does not survive or remain enforceable on the challan being filed. If an accused has not been released on bail and by the time the Court finally considers the application and passes an order and accused furnishes the bail, challan is filed, then the right of being released stands extinguished, since once a challan is filed the provisions of S. 167 will have no application and the custody of the accused thereafter is under the orders of the Magistrate where the case is pending. When this right accrues? When can accused be said to have availed this right? When this right extinguishes? And whether after the exercise of this right, the refusal of Magistrate to grant bail or delay in disposing of the matter, it extinguishes? While deciding this case, the Hon’ble Supreme Court answered these questions of law as mentioned above. After applying the above principles the Hon’ble Supreme Court held that the accused in this case availed of his right on 17th August, 2000 by filing an application and offering therein to furnish the bail in question. He became entitled to bail on 17th August, 2000. Dealy in deciding the matter did not extinguish his right. The Court should give a notice of bail application to the Public Prosecutor to resist the bail application. If Public Prosecutor applies for the extension of period, a notice should also be given to the accused to resist it. On 9-10-89 one Suresh Narsingh Dubey, a Real Estate Developer, was shot dead at about 10.30 a.m. at Nalasopara Railway Station in District Thane in the presence of his brother-in-law, A. S. Tripathi. The brother of the deceased, Shri Shyam Sunder Dubey, on receipt of the information went to Palghar Police Station and a first information report was lodged resulting in the registration of a case C.R. No.90 of 1989. During the investigation, Patrick Frances Truskar and Ananda Ramachandra Patil were arrested in connection with the said case on 20-10-1989. A charge sheet was filed against them in the Court of Sessions on 8-7-90. Sessions Case No. 88 of 1991 was pending disposal in that connection. indicating that they were likely to be arrested in respect of the murder of the deceased Suresh Narsinh Dubey in C. R. 90/1989 and therefore they approached the Bombay High Court for grant of anticipatory bail on 25-9-92. After notice to the Public Prosecutor, the Bombay High Court granted interim anticipatory bail to the applicants on 29-9-92. On 30th September, 1992, the prosecution filed an application in the High Court stating that since in the instant case, provisions of TADA were applicable, and the accused could not be admitted to anticipatory bail, because Section 438, Cr. P. C. was excluded in its application to offences under TADA. The High Court consequently dismissed the anticipatory bail application of Hitendra Vishnu Thakur and others. On 5-12-92, accused no.1 Hitendra Vishnu Thakur along with one other co-accused surrendered before the Director General of Police, Maharashtra. On 04.01.1993 he was remanded to judicial custody. The charge-sheet was to be presented in 180 days. On 6-7-93 the petitioner, Hitendra Vishnu Thakur filed an application for grant of bail under Section 20(4) of the Act on the ground that 180 days had expired on 4-6-93 but no charge sheet/challan had been filed. On 12-7-93, the Public Prosecutor presented a request of the investigating officer dated 29-6-1993 to the Designated Court seeking extension of time to complete the investigation and objections were also filed to the application for bail filed by Hitendra Vishnu Thakur under Section 20(4) of the Act by the Public Prosecutor. The bail application was dismissed by the Designated Court on 31-7-93 and the prosecution was granted extension of time till 30th of August, 1993 to file the challan/ charge sheet treating the application of the investigating officer as a report of the Public Prosecutor. Feeling aggrieved, the accused filed an appeal in Hon’ble Supreme Court. The Counsel of the accused assailed the order dated 31-7-93 by urging that the extension to complete the investigation has been granted ignoring the requirements of law as contemplated by clause (bb) and that the prayer for bail under Section 20(4) has been rejected on extraneous considerations. Learned counsel submitted that once it is found that extension under clause (bb) was erroneously granted, the right to be released on bail under Section 20(4) of TADA could not be defeated on any account. It was further contended that after the expiry of the stipulated period, the Court was bound to release the accused on bail even in the absence of such application. The Counsel for the State/respondent submitted that the Designated Court rightly rejected the application for grant of bail sought under Section 20(4) of TADA by taking into consideration the objections filed by the public prosecutor and the application of the investigating officer seeking extension, after detailing the progress of the investigation and furnishing specific reasons for seeking extension of time. It was further contended that the Court was not bound to release the accused on bail suo moto. Whether after the expiry of the stipulated period, the Court is bound to release the accused on its own motion even without an application from the accused? Whether bail to the accused can be refused on extraneous considerations? While deciding this case, the Full Bench of the Hon’ble Supreme Court held that It is not obligatory upon the Court to release the accused on bail on its own after the expiry of the prescribed period. Obligation is only to inform the accused of his right of being released on bail and enable him to make an application in that behalf. The Hon’ble Supreme Court further suo-moto observed that the Court should give a notice of bail application to the Public Prosecutor to resist the bail application. If Public Prosecutor applies for the extension of period, a notice should also be given to the accused to resist it. The Hon’ble Supreme Court further held that bail to the accused cannot be refused on extraneous considerations. If accused does not apply for bail during the ‘default period’, after the filing of the charge-sheet, his right to bail extinguishes. The petitioner was an accused in case registered u/Ss 147, 148, 302/149 IPC. The petitioner was arrested on 15.08.1993 and was duly produced before the Magistrate. The charge-sheet was filed on 20.10.1993. The petitioner filed an application seeking bail u/S 167(2) of Cr.P.C. on the ground that on 25.08.1993, 08.09.1993, 22.09.1993 and 06.10.1993, he was not produced before the Magistrate and no vaid order of remand was passed. It was further contended that copy of the charge-sheet was supplied to him on 14.12.1993 beyond the stipulated period of 90 days. Therefore, was entitled to bail. The Magistrate dismissed the prayer. Feeling aggrieved, accused filed a revision petition in the Hon’ble Madhya Pradesh High Court. original warrant itself. Therefore, the accused was entitled to bail u/S 167(2) Cr.P.C. The plea of the State Counsel was that accused was actually brought to the Court from jail but was not physically produced before the Magistrate due to unavoidable circumstances. It was further contended that endorsement on the reverse side of the original warrant is merely an irregularity and is curable. Whether remand can be extended in the absence of the accused? Whether endorsement on the reverse side of the original warrant is an illegality which makes the detention of accused as illegal?